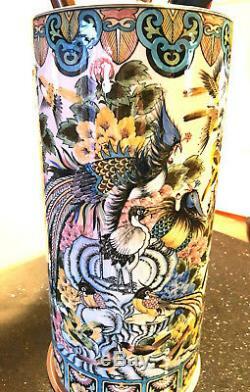 Vintage Umbrella Stand decorated with hand painted Exotic Birds Dimensions: Height 49cm x Width 24cm. 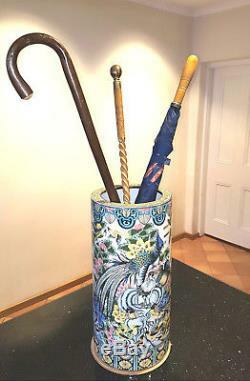 Accommodates: both Umbrellas and Walking sticks/Canes. Brilliant and Colourful displaying Peacocks and various tropical birds. Please see photos for more details and the condition of this item. 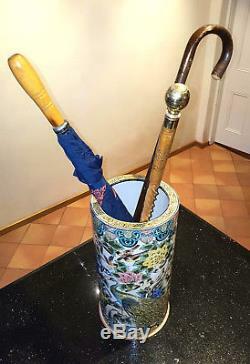 Please note that the Walking Sticks and Umbrella displayed in photos are not included with the umbrella stand and are for display purposes only. 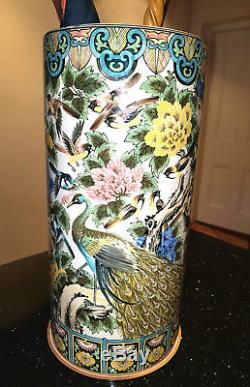 The item "Vintage Umbrella Stand decorated with hand painted Exotic Birds (H49cm x W24cm)" is in sale since Monday, September 18, 2017. This item is in the category "Home & Garden\Home Décor\Other Home Décor". The seller is "mikem958" and is located in Walkerville, SA. This item can be shipped worldwide.